Yesterday, we reported that a group of music industry giants, including Sony, Universal, and Warner Bros, have sued Internet provider Bright House Networks for failing to disconnect pirating subscribers. 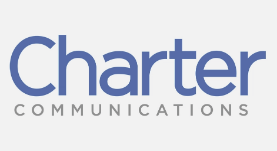 While that lawsuit was filed in Florida, the same companies also filed a complaint against Charter Communications in a Colorado District Court. The cases and the underlying accusations are very similar, which is no surprise as Charter acquired Bright House in 2016. Under US law, providers must terminate the accounts of repeat infringers “in appropriate circumstances” and Charter failed to do so, according to the music publishers. Specifically, the ISP is accused of ignoring repeat infringers on its network, which it continued to serve as customers. “It is well-established law that a party may not assist someone it knows is engaging in copyright infringement. Further, when a party has a direct financial interest in the infringing activity, and the right and practical ability to stop or limit it, that party must act,” the complaint reads. As highlighted by Ars Technica, the music companies allege that the ISP’s high-speed Internet service was used to lure customers who could use it to facilitate their infringing activities. These allegations are not new and have been made against other ISPs in the past, including the aforementioned Bright House, but also Grande Communications and Cox Communications. These ISPs provide an “attractive tool” and “safe haven” for pirates, according to the music companies. As such, they should not be entitled to “safe harbor” protection under the DMCA, it is argued. This was also the conclusion of the Texas District Court earlier this month, which ruled that Grande Communications failed to adopt and reasonably implement a repeat infringer policy. Charter will likely face similar allegations going forward. The complaint that was just filed provides several examples of “repeat infringers,” including some subscribers for which the ISP received hundreds of infringement notices. According to the music companies, it is clear that Charter intentionally ignored these repeated copyright infringements. As such, they believe that the ISP is liable for both contributory and vicarious copyright infringement. As compensation for the claimed losses, the companies demand statutory or actual damages, as well as coverage for their attorney fees and other costs. This could potentially run into the hundreds of millions of dollars. A copy of the complaint, filed at The United States District Court for the District of Colorado is available here (pdf).